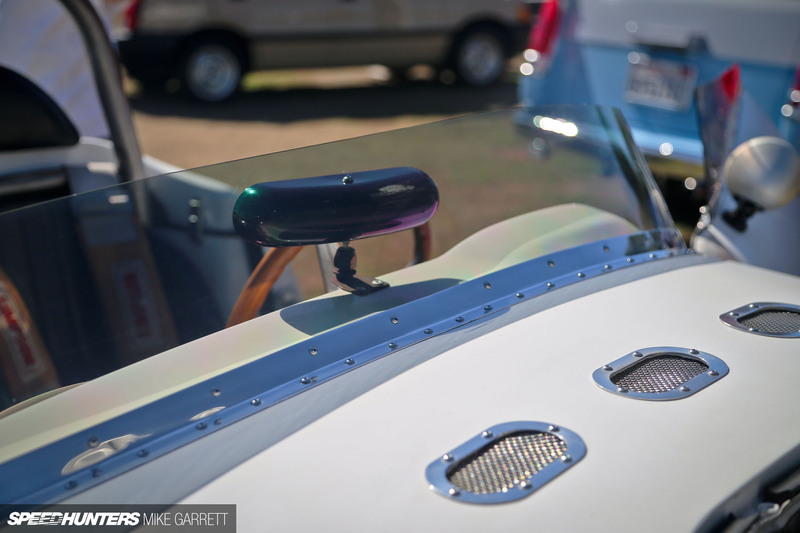 Hear the words ‘classic Nissan Fairlady’ uttered and your mind probably draws up a picture of either a Fairlady Z from the 1970s, or a popular Fairlady Roadster from the mid-to-late ’60s. 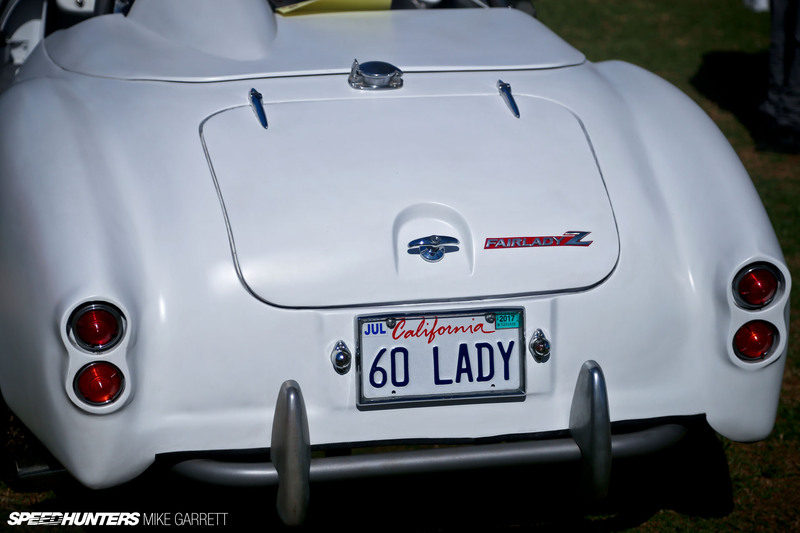 But did you know the Fairlady story actually goes back farther than that? 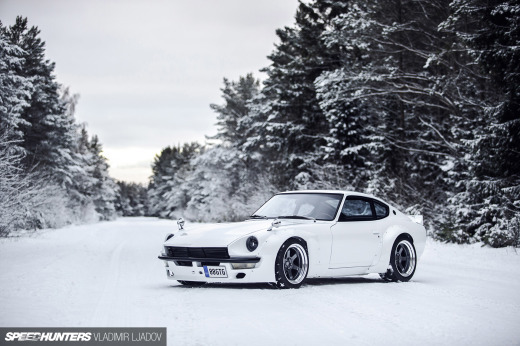 Also known as the Datsun Sports, the Fairlady’s roots can be traced back to 1959 and the S211 model, and SPL212 and SPL213s that came shortly after. 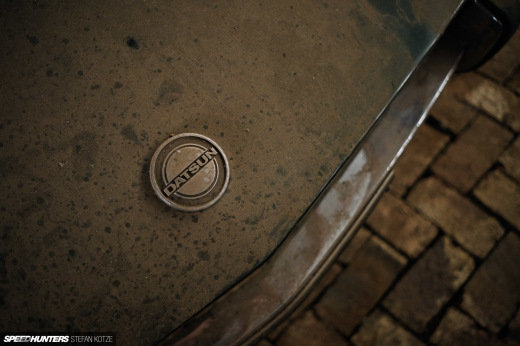 In 1960, the Fairlady became the first Datsun sports car ever imported to the United States. Less than 300 examples were built in total and far fewer than that remain today. It’s an extremely rare machine by any standard, which is why I was so surprised to see Jeff Silvey’s ’60 SPL212 at the Japanese Classic Car Show in Long Beach. These days, seeing any early ’60s Fairlady at a car show is a special treat, but Jeff’s car is on a whole different level. 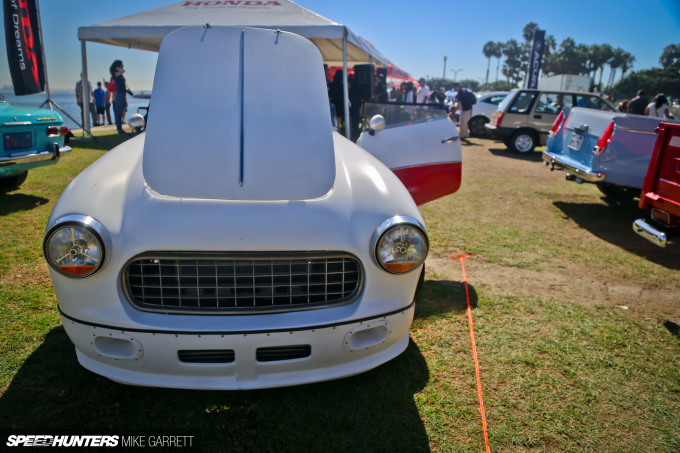 Despite its rarity, Jeff has set about turning his historic Datsun into a track-capable machine that’s equal parts retro and modern with very few stock parts remaining. The SPL212 originally came powered by a 1.2-liter overhead valve E-series engine making less than 50 horsepower. Jeff’s Fairlady is now making six and a half times that amount, thanks to an S15 Silvia SR20DET swap set way back in the engine bay. And the 325 horsepower turbo engine is just the start of the custom work. Peeking inside the cockpit, you get an idea of the extensive fabrication that was required to squeeze the S15 engine and trans into the nearly 60-year-old Datsun. Just look at the transmission tunnel. 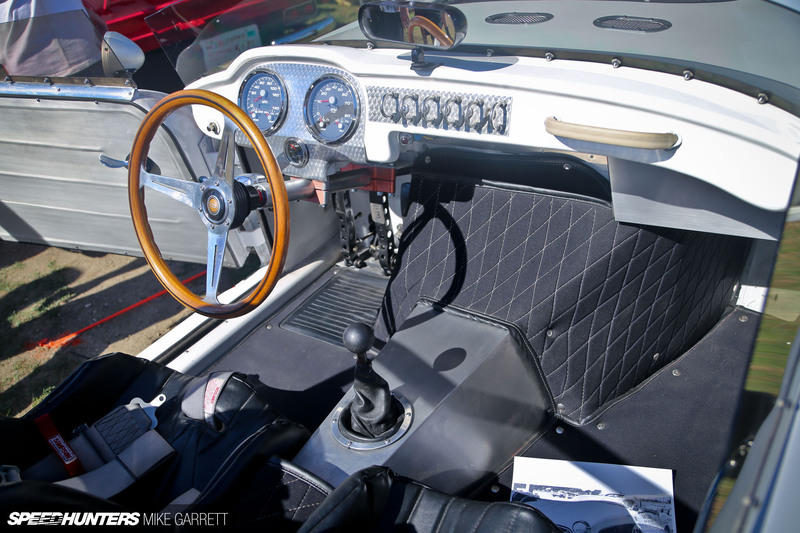 As for the rest of the car, Jeff has embraced a slightly modernized, ’60s speedster racer feel with a custom low-profile windshield, an angled roll bar and an interior that’s laden with aluminum. 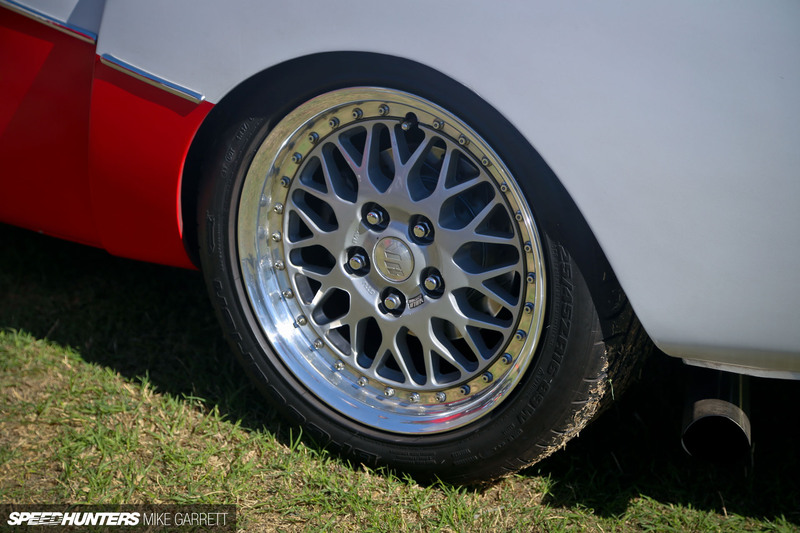 As you can see, the stock hubs have been ditched for five-lug numbers with disc brakes on each corner, and the wheels are 16-inch Volk Racing mesh with 225-section tires putting the turbo power down. The red and white body brings to mind the Corvette of the ’50s, which is actually one of the cars that inspired the design of the first Fairladys. 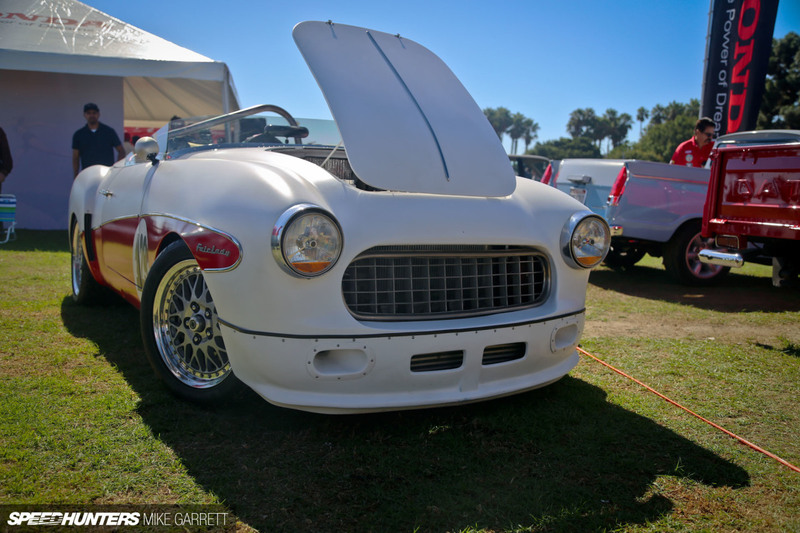 Whether it’s the iconic vintage Japanese machines that everyone knows and loves, or the rarer homebuilt machines like this Datsun, JCCS never disappoints. Stay tuned for a couple more spotlights from Long Beach. SpiagoJenkins I did not notice them until you pointed it out but that's super cool, I love it! my Aunty Lily just got an awesome 9 month old Mazda MAZDA6 Sedan only from working parttime off a laptop.. This car definitely stopped me in my tracks at the show. The first thing I marveled at was just how far back that engine sits, it's incredible. There's also an old Fairlady roadster in Indonesia that has an SR20DET swap, the only difference is that the car retains it's original features and looks. But if you look closely, it's running on some custom steel wheels with original Datsun hubcaps, and Toyo R888 semi-slicks. He must have strengthed the buggery out of the chasis! 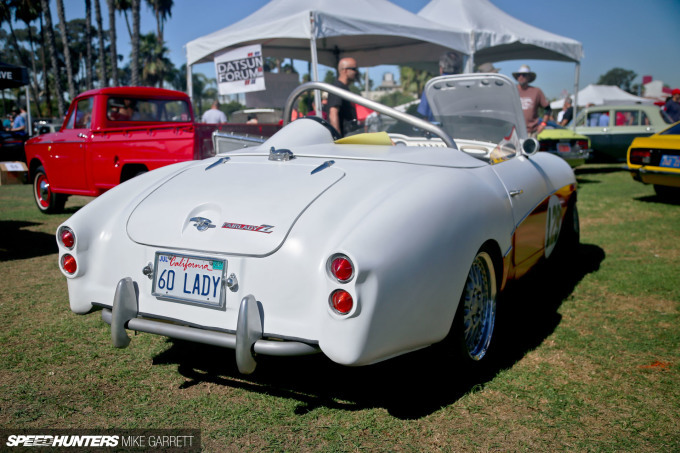 I recall a late 60's roadster running a SR20 that twisted it up so badly! bojanuli the f**ing robots must GO!!!! RichardHNapitupulu Nice! I'd like to see some pics. SpiagoJenkins Gotta make sure that headlight fluid is topped off. Very cool! 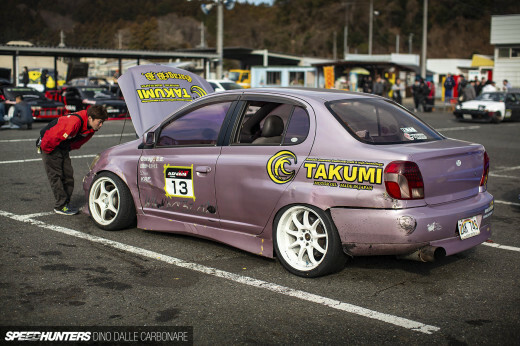 Reminds me of Willy's car. so its the blood of a sr20? Ilhan Rafif Nagata RichardHNapitupulu di majalah MOTOR ato Retroisme bbrp tahun yang lalu, lupa lagi yang mana.